Frank Curto Park is a place that gets surprisingly little attention in Pittsburgh. It is located off of the inbound side of Bigelow Boulevard in Pittsburgh. It is a reclaimed strip of land from an old alignment of the boulevard. The road was shifted inwards from the cliff due to landslide issues that hindered the operations of the old Pennsylvania Railroad Main Line, which is located at the bottom of the hill. This portion of land remained and the project was worked on by what would become the Western Pennsylvania Conservancy. It was founded to better the life of Western Pennsylvanians and it created jobs for the unemployed through beautifying the region. The conservancy has gone on to create, preserve, and protect some of Western PA's most important regional assets, including Ohiopyle, McConnell's Mill, and a number of other lands that became state parks. The conservancy also protects Frank Lloyd Wright's Fallingwater, one of his most famous architectural works. The organization's success with Frank Curto Park, their first project, began a tremendous legacy that has continually improved western Pennsylvania. Frank Curto Park is a great example of the work they do, for it is on land that would have likely otherwise sat in blight. The park is named after Frank Curto, an important individual in the history of Pittsburgh's parks, as he was the chief horticulturalist in the city, an important job that led to him overseeing displays at Phipps Conservatory, Schenley Park, Frick Park, Mellon Park, and others. The entrance area to the park. North Side and Allegheny General Hospital. The hospital's construction began in 1929, but construction sputtered with the Great Depression. The building was finished with WPA funding in 1936. St. Stanislaus Kostka Church. This Catholic Church is rooted in the city's Polish community and the building dates back to 1891. It has survived explosions, major floods, and so much more, and it stands as a pillar to the spirit of Pittsburgh. A number of sculptures adorn the grounds of the park area. 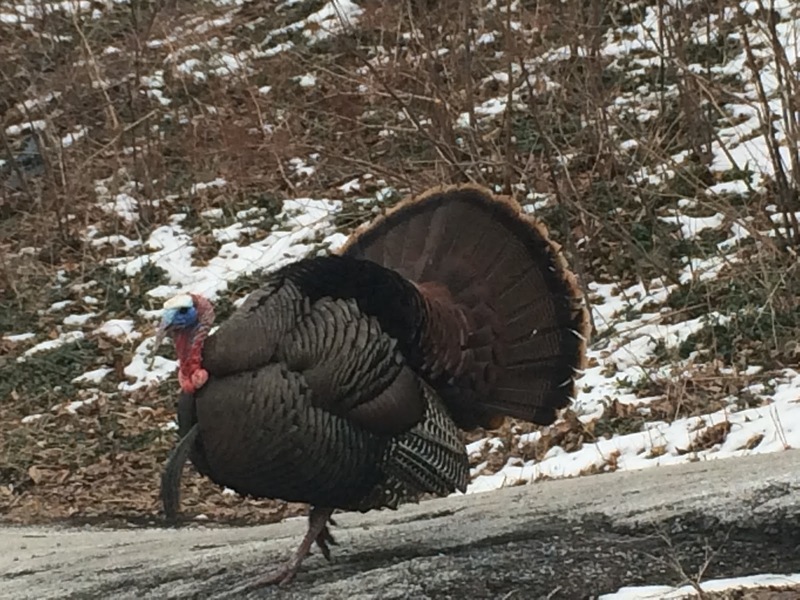 In addition to the scenic views, you are almost certain to run into some wildlife, such as turkeys, deer, groundhogs, different birds, squirrels, and more, often visiting us as we sightsee at the park. 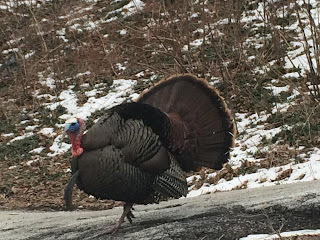 One of the stately turkeys from the flock that inhabits this area of the hill. The view at dusk. Simply amazing views of the towers, namely the US Steel Tower, Koppers Building, Gulf Tower, PPG Place, and others. Frank Curto Park is one of our favorite places to stop and relax for a little bit in the city. It is an often overlooked place that provides great views and a connection to nature in an urban setting and began the legacy of the Western Pennsylvania Conservancy, one of the most important organizations in the state.